The crunch of the bean grinder jolts me back to reality as I do my best to wake up on Monday morning. Hoping that the smell will rejuvenate me, I open up the bag of beans and stick my nose slightly into the opening, inhaling the dark scent. After heating up the water, I pour it slowly over the coffee grounds in my French press, steam whispering up into the air above. I allow my fingers to dance through the steam. Now we wait. As the coffee is poured into the cup, the aroma fills the room, a mixture of warm smoke and deep notes of symphonic smoothness. French Roast coffee is the darkest option on the Starbucks menu, with its main draws including intensity and smoky flavor, both of which are mentioned on the bag. The tiniest whiff of this strong beverage can get your brain cells energized without even taking a sip. From the first traces of French Roast in the air to that lingering last gulp, the experience takes your breath away. Rich, almost chocolate flavor fills your mouth when the drink first reaches your lips. A hint of tangy aftertaste and silky smooth delivery makes this a favorite for coffee lovers everywhere. Starbucks recommends using cold, filtered water when preparing French Roast in a standard coffee pot – 2 Tbsp of coffee for every 6 fluid oz of water. Personally, I didn’t really notice a difference between using cold and room temperature water when making the drink. Starbucks delivers again on the design of the product, though. Even the bag is beautifully designed, with purple and chocolate colored swirls, as well as the French fleur-de-lis on the front. In the middle of winter in the Midwest, there are few things better than sipping on a hot coffee drink with layers of flavor. If you like darker, flavorful teas, you will enjoy the flavor that comes in the French Roast variety of coffee. Its low acidity can also be a benefit. If you prefer something a little lighter, this is not the coffee for you. Its heaviness comes with depth – it tastes like the color mahogany. French Roast is not actually from France, as some may think. This coffee has been through intense heat during production. It’s about as dark as you can go without ending up with burned coffee beans. Because of all the oils used in their cultivation, the French Roast coffee beans are very shiny and dark. According to some of my research, Starbucks has followed the European tradition and made this flavor less mellow and more intense. In my own personal experience, I prefer purchasing ground coffee over beans simply because I hate the sound of the coffee grinder. However, if you prefer the bean, that is an option for this particular roast. I have also experimented with the Keurig cup versions of the French Roast, finding them to be almost if not equally as enjoyable as the longer process of the French press. These K-cups are much quicker, and while they are more expensive in the long run, they work really well for someone who doesn’t have much time to wait for coffee in the mornings. Find out what is white coffee beans. Starbucks is dedicated to ethical coffee production, giving it yet another step up over competitors. I try to seek out fair trade products to protect workers around the world, so Starbucks is pretty appealing. If you’re interested in purchasing some of the coffee, their website offers several options, or you can buy it at any grocery store that sells Starbucks products. 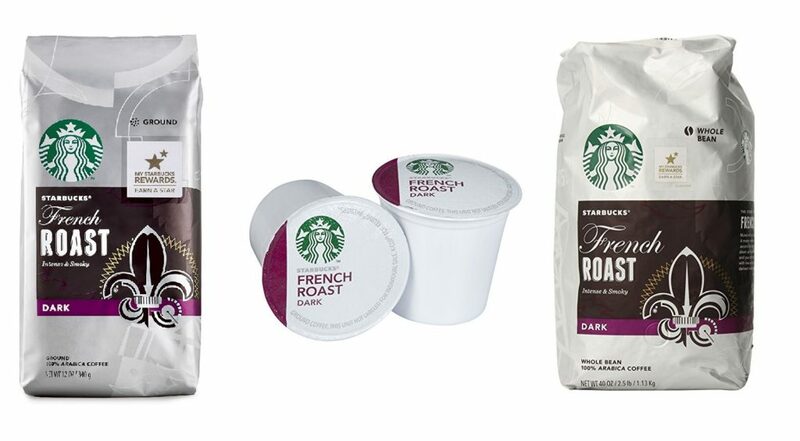 Next time you decide to brew a cup of coffee, consider sipping Starbucks French Roast. Its dark depth and intense richness will leave you craving more.